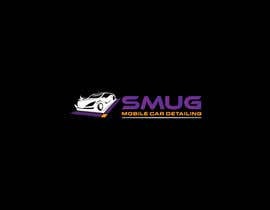 Business name is "SMUG Mobile Car Detailing". The logo should incorporate a 'shine star' on top of the letter 'S' in the word SMUG (similar to the image I attached) and also the hand gesture (refer to the image I attached) below the word "SMUG" and should stretch out from below and basically be the main attribute of the logo! Our detailing business is focusing on loud and proud with prestige and sports cars (bare this in mind). The tagline "Mobile Car Detailing" can be in block letters or whatever is appropriate (all ideas are welcome) below the hand gesture. All other elements are welcome like - bubbles, car cleaning equipment like mits, sponges etc but not critical. I am looking for a clean, eye catching, modern time logo.